Many people these days have heard about the benefits of binaural beats (and brainwave entrainment which is the more generic term) and are keen to try them. Binaural beats can offer a way to create lasting change in peoples’ lives but many are a bit put off spending money on products that seem a bit, shall we say, woo-woo! So, the answer is to try them for free and this article points out my research on where to download free binaural beats mp3s. A Google search to download free binaural beats mp3s will bring up a ton of websites offering free audio downloads or streams – 3.1 million when I checked today – but I don’t recommend that as a way to get them. If you have read any of my other articles on this site, you will know that I don’t generally advocate the use of free binaural beats from sites such as Youtube. The reason for this is that you don’t know how they have been made or whether they will deliver any benefits at all. They usually don’t have any support facilities where you can ask questions and get help. However, if you are inquisitive about binaural beats and want to try them out without spending any money, there is a way you can do so without taking a risk. There are places where you can download free binaural beat mp3s secure in the knowledge that they are quality audios and will work – the websites where you have to pay for them! Many of the companies that produce commercial binaural beats are slick marketers. They know that everyone likes a freebie and binaural beats fans are no different. They know that if they can prove to you that the products are good and gain your confidence, you are more likely to buy later. 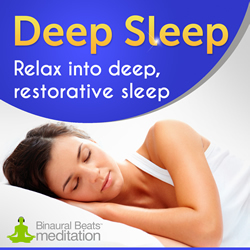 It makes good commercial sense to allow you to download free binaural beats mp3s that are full products. So they do it! But let’s be real. You will, in most cases, have to give your email address but this is okay. These companies are professional and will treat your email with respect. You can unsubscribe successfully at any time but it’s generally worth staying on the list as they may offer you discounts or further free products. You will need some at least half decent headphones if you want to get the best out of binaural beats. They work by playing one beat in one ear and a different beat in the other ear. The brain then creates a third phantom beat which balances the two tones in each ear. ===> See my recommendation for the best headphones for binaural beats. For example, if you play a 200Hz tone in one ear and a 205Hz tone in the other ear, your brain will create a third tone of 5Hz which will generate a brain state in your brain that will make you feel extremely relaxed and sleepy. This tone will guide your brain into the Theta brainwave range of 4Hz – 7Hz. If you were looking for relaxation, the tones may be 200Hz and 210Hz, generating a 10Hz tone. This is within the Alpha brainwave range of 8Hz – 12Hz, and will create a relaxing brainwave state. Check out the different brain states in my article here. Isochronic tones (another brainwave entrainment technique) can be listened to without headphones as they are produced using a different technology that uses computer pulses. But I would still recommend listening through headphones as it intensifies the experience and cancels out external sounds. 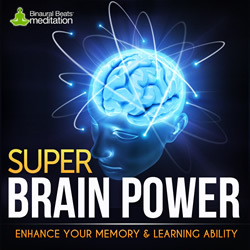 You should also consider what you are trying to achieve by listening to brainwave entrainment. Do you want to relax while you listen to the audio? Do you want more energy, or to sleep better? Perhaps you are looking for more esoteric binaural beats such as binaural beats for lucid dreams or binaural beat for astral projection? You can get binaural beats to help you with all of these. Inspire 3 are a quality manufacturer of brainwave entrainment content and are the team behind my favourite meditation program Zen12, and the classic mind improving Brain Evolution System or Brainev program. I own both and have been particularly impressed by the meditation music in the Zen12 files and the feelings listening to them generated. They also produce a range of audios that can help with achieving specific brainwave states using special frequencies and their latest products are the cutting edge Brainwave Shots range. These audios claim to instantly change how you feel. They have a huge library of brainwave audios and you can activate any state of mind just by listening to the relevant 30 minute audio. They use embedded tones to influence how you feel and guide your brain into useful brain states such as increased mind power, creativity, happiness and confidence. When the desired brain state is activated by the audio, you will continue to feel the effects for anywhere from four hours up to the rest of the day. There is an excellent FAQ section at the foot of the page here which will tell you all you need to know. Created by experts, the files come with a 1-year guarantee to give you ultimate confidence that they will work or your money back. PS – I did tell you they were marketers – ignore the countdown timer and just revisit the page if you don’t get time to complete the form on your first visit. Ennora started producing commercial audios in 2009 by two guys interested in music and binaural beats. One of the founders was a sound engineer. He was surprised by how many programs had audios with low production qualities and often a hum caused by the underlying frequencies which resulted in a poor experience. They wondered if they could make the music better by producing the tracks professionally, in a studio, with professional engineers capable of tweaking the frequencies and mixing the sounds to perfection. They learned all they could about brainwave entrainment . They studied scientific papers to learn how the brain reacts to entrainment and tested products on themselves. They recruited an experienced engineer, hired a studio and created an audio that went on to become Deep Concentration. Over the years the recording mushroomed into a full catalogue of brainwave entrainment recordings. 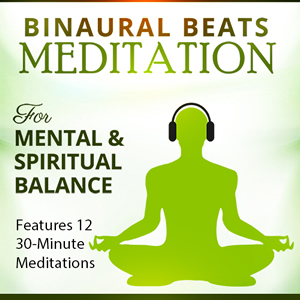 The people at Binaural Beats Meditation offer a wide range of recordings, under the general headings of Relaxation, Wellbeing, Mind Power and Spirituality. Before they release a commercial audio, they test it on a wide demographic of testers. This allows them to be sure that the music they produce is proven to work and does the job. 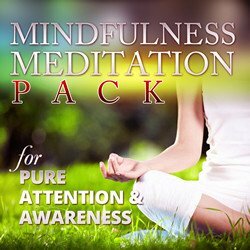 I own the Meditation Mega Pack and I just love the varied and beautiful music they use on their entrainment tracks. And I can always find a track that matches the mood I want with tracks like Zen Focus, Positive Thinking, Super Brain Power and Deep Meditation. And they let you try out their style of track by letting you download a free 10 minute version of the Chill Pill audio from the Mega Pack (they are normally 30 minutes long) and a useful guide to Binaural Beats. Hypnosis is a practice that lends itself very well to brainwave entrainment audios. Hypnosis audios generally work very well if you listen to them with headphones but they appear to work even better if the hypnosis is backed by a binaural beats track. Some of them work like a guided meditation track. A pioneer in this field is the aforementioned Inspire3 and they have recently unveiled their Hypnosis Bootcamp range of hypnosis audio files. They offer a range of tracks under the categories of Law of Attraction, Brain Power, Weight Loss, Wealth and Confidence. If you go to their website using the link below, you will be able to get one of their excellent hypnosis mp3s for free. Why not give it a try? ===> Get a Hypnosis Bootcamp audio for free. PS They have an older hypnosis site called Hypnosis Live that is loaded up with really useful hypnosis tracks. You can also get a free mp3 from there and a Happiness ebook. To be absolutely honest I haven’t tried any iAwake audio tracks but I found their free offerings when I was researching this article. IAwake say they started in 2010 with a plan to help the world in healing, waking up and evolving by creating cutting edge technologies that can help improve lives by their daily use. They do have a really good looking flagship product called the Profound 3.0 Meditation Program where you can stream a 20 minute session. So as to allow potential customers experience their technology, they do offer a free download of three different audios to achieve different results. They have a 9 minute Heartwave Meditation for relaxation and a 10 minute Gamma Burst that can power your focus, flow and creativity. The third file is a 20 minute meditation track from their Profound Meditation 3.0 program. I have just signed up to their list and downloaded the files. I’ll have a listen and then update this post at a later date. ===> Get the 3 free iAwake audio files here. I think there is some debate about the effectiveness about subliminal audio messaging. Do we get a real benefit from subliminal audio files or is there no benefit from them? The only way to find out for yourself is to try them! And luckily for you I know where you can get two free subliminal albums so you can try them out and decide for yourself. You can choose from Master the Law of Attraction, Think Yourself Rich, Lose Weight Fast, Stop Procrastination Now, Rocket your Self Confidence or Get a Photographic Memory. Click below to try two of these very appealing self improvement subjects. ===> Click here to choose your two free subliminal free albums. If you are a visual person, and you spend a lot of time on your computer, you may benefit from using subliminal software. Subliminal 360 is a software tool that flashes subliminal messages on your computer screen as you work! Scientific studies have proven that seeing subliminal messages can help you change many areas of your life. Subliminal 360 will display positive affirmations on your screen for milliseconds at a time. Your subconscious mind soaks up these affirmations as you work and this will in turn help change how you think and act. The software also lets you generate your own customised subliminal mp3s although there is a library of over 350 sessions built in you can download and listen to anywhere. 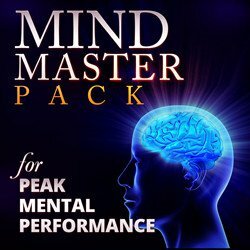 Finally, there is a library of 25 Brain Hacker audio sessions which use brainwave entrainment to achieve a desired mood. Subliminal 360 seems to have it all and may be the only tool you need. To tempt you to try Subliminal 360 Inspire 3 give you a free trial of the software plus 5 of the Brain Hacker audios which are yours to keep even if you don’t continue with the software. ===> Click here to try Subliminal 360 and get 5 bwe audios. If, perhaps like me, you are a very visual person, you may get some benefit from a combination of video, affirmations and binaural beats audios all in the same package. A company called Mind Movies have exploded into the brainwave entrainment arena with their product Mind Movies 4.0 which does just that. A Mind Movie is a digital version of what has become popularly known in personal development as a vision board. In the paper version of a vision board, you pin things you would like to have, be or do, such as pictures of cars, houses, families or anything you wish to gain. You may pin inspiring quotes from your heroes or popular figures. In short, you set up a board to remind you what you want and it motivates you when you look at it and take it in. A Mind Movie is a short video file that shows you images of what you want to happen in your life and positive present tense affirmations, backed up by an uplifting and emotional background track. Users create their own movies that represent their personal goals and desires using a cloud based application that doesn’t need to be downloaded to a computer. They then watch this short – usually about 3 minutes long – powerful visualisation tool twice a day. The producers of this tool claim it is extremely effective in manifesting positive behaviours leading to goal achievement. So you can test the technology for yourself for free, they will give you six premade Mind Movie files to watch. They cover Courage & Confidence, Loving & Appreciating Myself, Attracting Friends & A Great Social Life, Vibrant Health, Inner Peace and Wealth Abundance. It would do no harm to download and watch these videos to see what you think of them. At just 6 minutes a day and no cost, what have you got to lose? 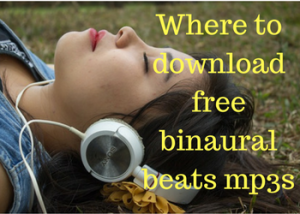 So that concludes my roundup of the the best and safest places you can download free binaural beats mp3s. I hope you enjoyed it. If you did, share it with friends who may also be interested on Facebook or Pinterest. Everyone loves getting something for free! If you liked the subject, and the tone of the article, consider leaving a comment or joining my list to get notification of future articles and any other free products I may find. I’d love to hear from you. Which are the best headphones for binaural beats?